Few months back Tasmania government announced to ban online lottery betting. The officials decided to act on the currently existing lottery outcome wagering and prohibit the citizens from participating in it. The new regulation is aimed to ban lottery betting in the island state since in the recent months online betting has been showing signs that it is affecting the businesses of local newsagents in a negative way. 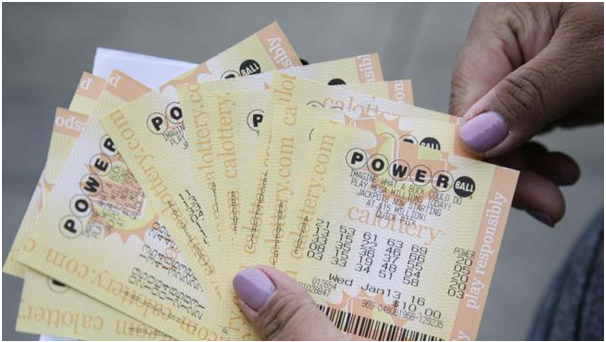 Wagering on the final outcome in the lottery or as it is better known synthetic lotteries, is a phenomenon which has been proliferating in the region for quite some time now. Probably due to the idea it gives to its participants, that they are capable of predicting the numbers correctly and winning big. It is also an online gambling of sorts, which makes it even more accessible for play. In its essence, it gives the players the chance to bet on the outcome and win money instead of actually purchasing the lottery tickets. This is affecting negatively the newsagents in Tasmania and this is raising their concern as to how their business is going to continue existing unharmed by online wagering. According to Ben Kearney, Tasmanian General Manager at the Australian Lottery and Newsagents Association (ALNA), the existence of this sort of business has been a big issue in the gaming sector and online bookmakers are seriously threatening the integrity of already operating and registered lotteries. The online-based wagering is taking away their customers and this is not a healthy environment for lotteries to function in. Note that there is a total of 92 outlets in Tasmania which have the permission to sell lottery tickets and most of them are newsagencies. The decision taken by the government of the island state is expected to better the current situation and restore the equilibrium in the field and the government is working on a new legislation which will be drafted effective immediately. It is going to prohibit the operation of online-based wagering on lottery outcome and this is going to improve the work of the currently existing companies. 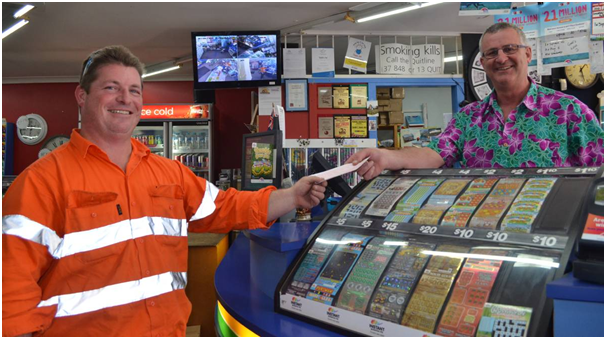 There are as many as eight lottery companies providing the citizens of Tasmania with lottery tickets at the moment. 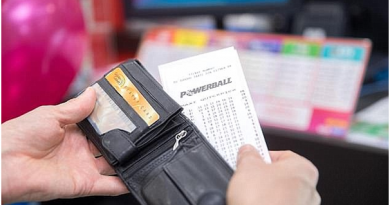 South Australia has already taken matters into its own hands and banned lottery outcome betting, whereas New South Wales and Western Australia are still working on the issue and looking for ways to ban it. The biggest concern which has prompted the ban is that customers falsely think that online wagering is part of the lottery itself and this leads to a considerable loss of revenue for both the state and the lotteries. The screws are tightening on ‘fake’ lotteries like Lottoland, with another state outlawing lottery outcome wagering. 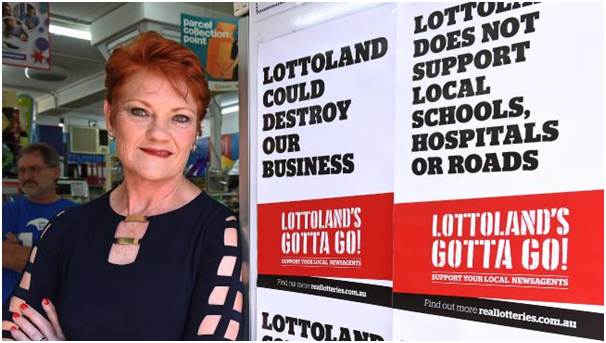 It’s the latest move against growing gambling disrupter Lottoland as newsagents around Australia campaign to shut down the digital competitor they say is threatening their livelihood. 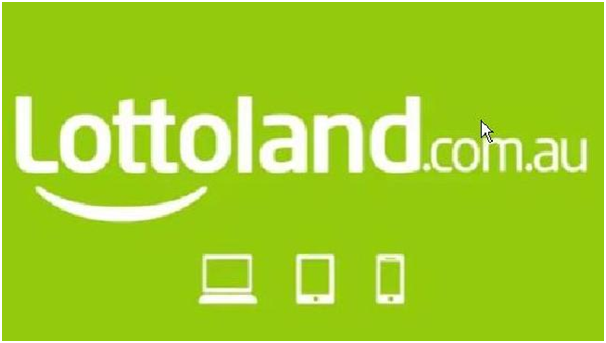 Lottoland is a Gibraltar-based online gambling company which replicates big lotto wins by allowing users to bet on the outcomes of international lotteries and promises to match their prizes. While Australians who use Lottoland don’t actually enter the overseas jackpots, the platform gives players access to the same massive prizes. The controversial service is allowed to operate in Australia because it is registered in the Northern Territory — a popular base for bookmakers and gambling companies because of its attractive tax rates and licencing regime. There is a difference between buying a ticket in the lottery and online gambling where consumer protections do not apply. This form of product is not welcome. 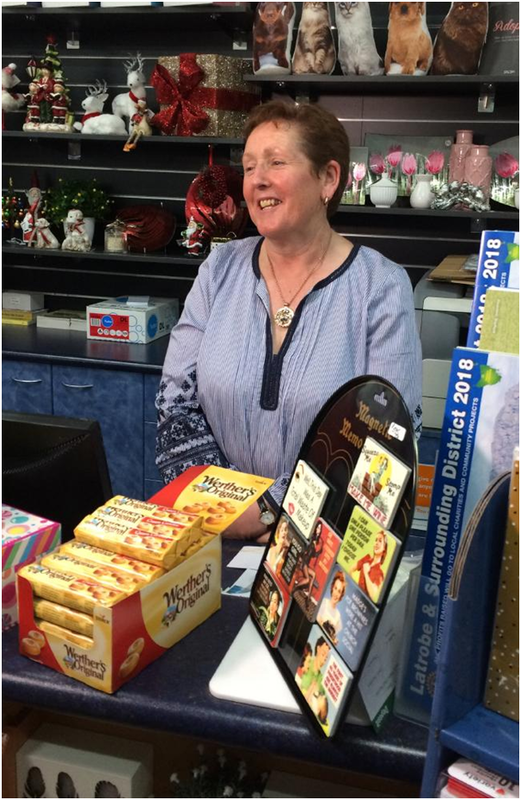 The Latrobe newsagency manager Michelle Callandar believes that the sale of registered Tattslotto tickets made up a “huge” proportion of the business’s turnover. 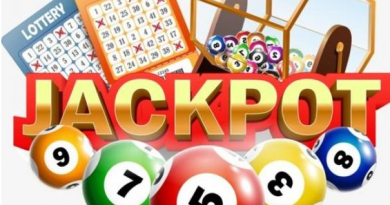 Lartobe has been here for 38 years and been a lotto agent for almost as long and they are pleased the Government has acted swiftly on a very worrying new trend where the customers are talking about online lottery outcome betting and are assuming it is part of Tattslotto, which it is not. According to ALNA real lotteries generated $30.6 million in Tasmanian state lottery taxes in 2016-2017 to pay for schools, hospitals, roads and other important infrastructure. This decision will ensure that this important revenue is not lost for the Tasmanian community and it also reaffirms the vital role of small business, such as the lottery. More colloquially known as lotto bets or synthetic/fake lotteries these online-only bookmakers are different to official regulated lottery draws. They do not offer tickets in a draw, rather they draw from regulated lottery businesses and offer bets on lottery outcomes as said above. 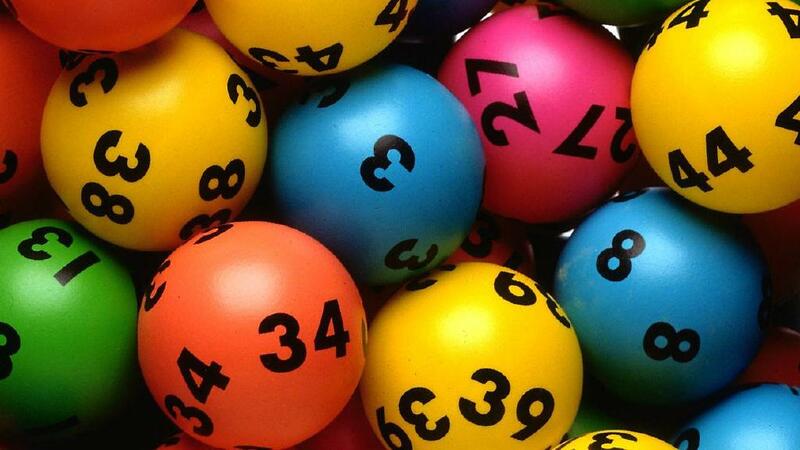 News agents have applauded a Tasmanian Government decision to quickly draw up legislation to ban lottery outcome wagering in the island state.